Many Indian business houses have made in-roads into the international market over the last several years. 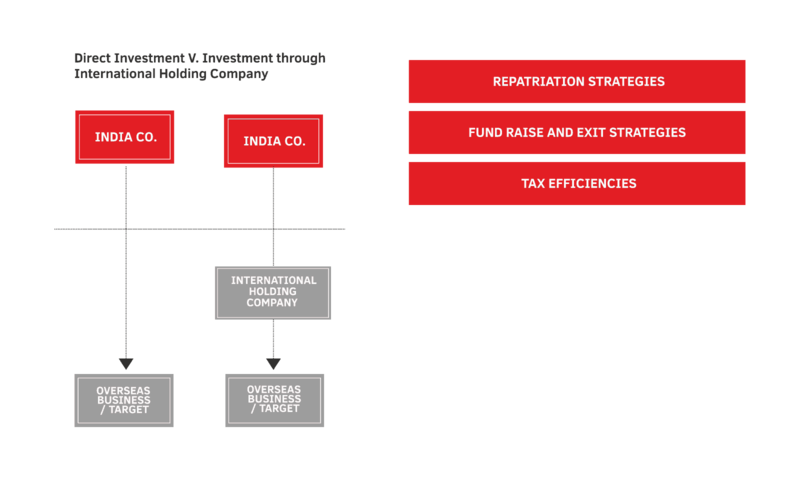 As Indian companies plan their global investments and international growth strategies, various concerns arise in their minds with respect to business, tax and regulatory aspects – both from the perspective of India and from the perspective of the country that they plan to invest in. Given that overseas markets are untested waters, Indian companies typically adopt a cautious approach and attempt to limit the business risks. drafting / review of necessary contracts, set up formalities etc. We have a network of partners in key overseas locations including US, Canada, UK, Europe, Middle East, Singapore, Africa, Australia etc. to work along with us to provide extensive support to our clients. At Transaction Square, we support our clients through the entire investment lifecycle.